Welcome to Peggy's world! Welcome to Peggy's world! My third story : Live-life-again: Live life, again! My second story :The Unseen: The Unseen! My first story : No-conditions-apply: No conditions apply! This is a translation of my telugu story published in Saranga web magazine. Shankar woke up early in the morning, got ready, took his bike and headed across the highway. When the sun rose, he made a pit stop at his favorite Tea Stall. After having omelette and tea, he reached Vijayawada by afternoon. Then he visited the Vijayawada KanakaDurga Temple, had his lunch on the way back and reached Hyderabad at dusk. “It’s time “, he thought. He found a hill and turned his bike towards it. He parked his bike and walked towards the verge of the hill. He looked down the valley, and rolled his eyes in fear. Having gathered all the courage he could, he leaned forward to jump into the valley. “Excuse me”, he heard a woman’s voice. He thought he imagined things, so he leaned again to jump into the valley. “Hello, excuse me” he heard the same voice again, that seemed to be sweeter than before. He turned around and saw a beautiful girl clad in white churidar. He gestured whether she called him. “Yes, I was calling you Mister! Looks like you too have come to die” in her melodious voice. “Oh so you are here to die too? You are so beautiful. What are your problems?” Shankar asked. “Does one have to die only if they have problems? Can’t they die if they are beautiful? Do beautiful people have no problems? I do not understand your logic. By the by, you are also smart and good looking, then why are you dying?” she asked. She replied “No. I do not have any big problems. Life has become mundane and people around are so unscrupulous. I do not like to live this way. This is why I want to quit” she replied very casually. “Now I am confused. I never knew people die for such a reason. By the way, what’s your name?” “Please sit down. My name is Kimaya ” she replied. “Because, I cannot jump alone and I need company. Let us jump together” she replied. “Ok sure. Let’s go ahead ” he said. She stopped him. “No, let us wait for an hour and then jump ” she said looking at her watch. Mesmerized by her divine smile Shankar agreed. “So tell me as to why you wanted to commit suicide ” he enquired settling down on the ground. All my family members wished to see me as a collector. I am trying to get through Civil Service exams since five years, I have failed four times, this time I have really worked hard and appeared for the exams. Yesterday the results were announced and again I failed to clear the exams. I am not able to fulfil the wishes of my family members, I have failed miserably and therefore I have decided to die. I placed a suicide note in the house and I am here” Shankar concluded. “Oh I am sorry. You are indeed in a real trouble ” she said sympathetically. “Now you tell me, why don’t you like this life and why have you decided to die?” he asked curiously. “As I mentioned earlier, I do not have any big problems. I do not know who my parents are. One drunkard found me lying in garbage area and left me at a temple. The priest named me as Kimaya and took care of me. I have learned vedic scriptures from him. I have spent my childhood in the temple. After his death, I started living in a small room inside the temple. The prasadam which is distributed in the temple was my daily meal. Bhajans and pooja rituals are my recreational activities. I used to recite Vedas to the people visiting temples and whatever money they gave me as charity, I used for my tuition fees. ” “I achieved a state rank in my board exams. I have been offered financial assistance to study medicine in Gandhi Medical College. Government rewarded me a Rs 10 lakh scholarship. But the then minister did not release the grant, I have filed a case and still I am yet to receive the amount. With the support and encouragement given by my class teachers, I could obtain an educational loan. I used to eke out my living by doing household chores. I have completed my medicine course, I have been awarded Gold medal. My teacher suggested that before doing MD, it would be beneficial if I do a project in a private hospital as intern. I have joined a reputed private hospital and as an apprentice to a well known Neurologist. One day, he was supposed to perform a brain surgery on a kid. Since the kid’s parents could not pay the hospital fee on time, the surgery was postponed. The kid’s health deteriorated dramatically and he was dead the next day. I did not like this demeanour of the doctor. I thought so highly of him and he let my opinion down. I questioned the doctor. He said ‘Take it easy, you are going to be the same soon’ The very thought that I would become mean and greedy to earn money gave me jitters. I never wanted to become like this, this society can change anybody.I do not want to change my attitude and I do not want to live a life like this and therefore, I have decided to withdraw from this society by committing suicide” looking at her watch “half an hour more ” she said. Shankar was speechless. He could not control his feelings. Tears rolled down his eyes. ‘This girl has been experiencing so many troubles, problems and travails from her childhood, yet, she stood like a monolith rock and faced all of them bravely and positively. My problems are very minute before hers. Choosing suicide as solution to any problem is a big mistake’ Shankar realized. “Kimaya, you should not die. You will become a great doctor and a compassionate person. My uncle is a doctor and is honest to core. There are many such good doctors out there. I will help you in becoming a good doctor. Forget about suicide. Not only that I too decided not to die ” Shankar said wiping his tears. “What changed your decision so suddenly?” Kimaya asked. “We are not losers, we are fighters. Failing in exams is a very common phenomenon. I will work hard. If I could not succeed, I will pursue some other profession. Please take time to contemplate and you will understand what I am trying to say. Don’t just give up. “Shankar said as an enlightened man. Shankar did not expect she would be convinced so easily and didn’t bother to think why. He dropped her at the nearest bus stop and left to home. After half an hour, Kimaya’s phone rang. “Hello, did your brother come home?” Kimaya asked cheerfully. “Yeah..thank you very much, we were so worried. I wonder what you did. He returned very happily and apologised for troubling us. And he looks changed.. I mean he is confident, radiant and bubbling with excitement” came the voice from other end. “Ha ha ha. That’s nothing actually. I have narrated him a mixed story of three different films. I was the heroine of the story though” Kimaya told casually. “How many times did I advise you to watch movies? Your brother never saw or met me because he was preparing for exams in his room all the time. After you have shown me the suicide note, I have gone to the spot and prepared a script to talk to him while I was waiting for him to come. I spoke to him with love and compassion and poor soul he believed whatever I have said… In fact, he helped us by indicating the exact place where he planned to commit suicide. This shows that heart in heart, he is expecting a family member to come and persuade him not to commit suicide and not to care results….we want you to he happy blah blah……he was very mean to that extent. He has no intention to die. Running away from the problem rather than facing it has become a fashion for the youth today. We have to learn a lot from the tree which we see every day. Even if it is cut half way through, it still emerges from the sides…but man gets worried even for a small issue. I am certain that he is a changed man after the little drama we have played. He will not resort again to these type of things and I am confident that he would become a great human being in future” she explained. “Fantastic. You lived up to your name by casting a spell on him Kimaya” complimented the friend and they both laughed heartily. She wiped the floods of her tears. She remained there, with composure, vacuously looking into nothingness. She is feeling dizzy. She felt better after having some water from her bottle. She couldn’t understand why the bus has been stopped for so long. Impatience is getting onto her head. She had a tiring day and wanted to go home and sleep. But this bus has been stopped for more than twenty minutes. 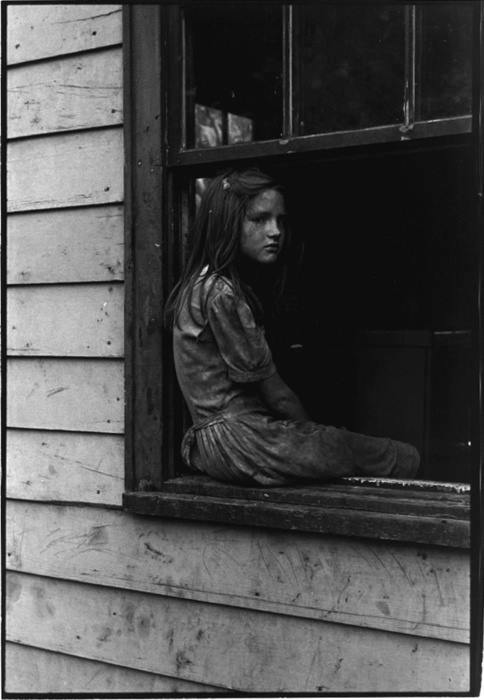 She tried to look out through the window to understand the situation, but in vain. At any moment, she can throw up, such is her condition. Still, she tried asking the person seated beside her. Having woken up from sleep just now, that person couldn’t answer her. She checked if anyone from the bus has any information. But everyone seemed to be busy with their mobile phones. The sounds outside including continuous honking by the other vehicles irritated her. Annoyed with the situation, she got up and moved slowly towards the entrance of the bus. The driver asked her not to get down, but she is too adamant to listen to him. She got down the bus and walked slowly towards the crowded people. Walking, she observed people on her bus, who are oblivious to the crowd. They are all busy with their phones, music players and none of them even tried to find out why the bus is unmoved for so long. They are too disconnected with this world, it seemed. She is annoyed with these people who are so unattached, indifferent and insensitive to a few such things in life. While some people on the road raised their eyebrows with awe at her, some of them looked at her with platitude. Some of them even commented her way of walking. Indeed she is walking with her legs wide apart, not much like a typical girl. She is already not well and is dragging herself all along. Finally, she reached the crowded place, spoke to a few of them there, got the traffic police involved and successfully got the place cleared. People who have been following her act all the way, applauded her. She returned them a smile and boarded the bus. She looked at everyone in the bus which has just started moving and smirked at almost every face. She carefully placed herself in the seat. Some of them felt shameful while some of them taught, let’s all learn from this pregnant lady. My head was aching. Real bad. I shouldn’t have skipped it. I should have tried something out. Now my bad. I didn’t feel like having anything for breakfast. I had my shower, put on my clothes and tried to use the new, expensive perfume I bought. Well, that was one of the disastrous decisions I could take in my life: the fuel of the perfume, if I may call it, had added to my already aching (read fire) head. Besides, my tie was missing! I yelled at mom for being careless. Oh wait, shouldn’t I be the one who must be responsible? Poor mothers are always the victims of such erroneous demeanor of reckless children. Okay, this information is superfluous now. I shouldn’t have skipped it. Then, I had gone to the front yard to pick the newspaper; in reality, I don’t pick it, I become a fielder in a cricket field because the newspaper boy envisages himself as the best bowler, visualizing the newspaper as the ball. However, to my dismay, I found the ball, err, the newspaper, first floating, then drowning in a ditch filled with water in the front yard. Okay, this is very important now. The ditch is for rain water harvesting. You want to know more, please Google about it. Very important. Why did I even skip it? Coming back to the Titanic episode, my heart cried for the newspaper. I could imagine it crying for help. I am sorry baby, you are lifeless. I picked up the soaked newspaper and called the best bowler. Oh that look on his face, he reminded me of a school kid who is called to the head’s room. He was contrite when I admonished him for doing his job perfectly, yeah, throwing the paper into water. To be honest, I actually felt like a head berating a school kid. Because I liked the remorseful expression on his face (did I mention I am sadistic at times? ), I dismissed him (for the day). I rather seem pugnacious today. Man, I shouldn’t have skipped it. I completed the rest of my daily activities in a perfunctory manner. On my way to office, I suffered from heavy traffic jams. On top of it, people honk for no reason. You heard it right. Absolutely, reasonless. I tell you, I should NOT have skipped it. What could be more worse, when your car-pool mate is laconic and has a bleak outlook! Reminds you of inferno, isn’t it? I couldn’t take it anymore. I pulled over, asked him to carry on and rushed into a café. I ordered for a cappuccino and hurray, I feel bliss. My head finally stopped aching. What a tragedy it is when your mom forgets to make coffee decoction, which is because you forgot to get the coffee powder. Something I would never afford to repeat ever in my life. Never again. Few weeks ago, I have been to Vizag. The trip was normal, nothing exciting. The purpose of going was served and rest is history. Now, the rest of the post deals with the intention of my posting here today. We have booked a special Visakhapatnam to Sec’bad train. The word special is very special here. All the compartments are non-AC(Thanks to Infy for making me an AC addict, I found it really difficult to travel). The fans weren’t working either. Do you think I had enjoyed the natural air? No! The toilets were stinking and on top of that, we were sitting in a compartment, very next to them. Cockroaches and flies of all kinds were hovering all over. Thankfully, no rodents or their friends were seen. There were berths but half size (especially width) of what they are supposed to be. Confused? Okay, if the usual size of berth is wxbxh, the special size is 0.5wxbxh. Yes, I am a nerd. The voice was so powerful that I had goosebumps. I wondered if any Vedic Scholar was chanting it. I waited to see whose voice it was and was shocked to see a rag-picker aged 8-10 chanting that peace mantra. The soul of mantra, the sruthi, the rhythm, the pitch, the crests and troughs while rendering it – everything was more than perfect! Not everyone can recite ‘om’ so purely. Not everyone is gifted like him. In fact, I think it is a boon. These Vedic hymns, Spirtual mantras and Upanishads are not so easy to be recited. Just a practice wouldn’t suffice. I think it has something to do with genes (as shown in the movie 7th sense).